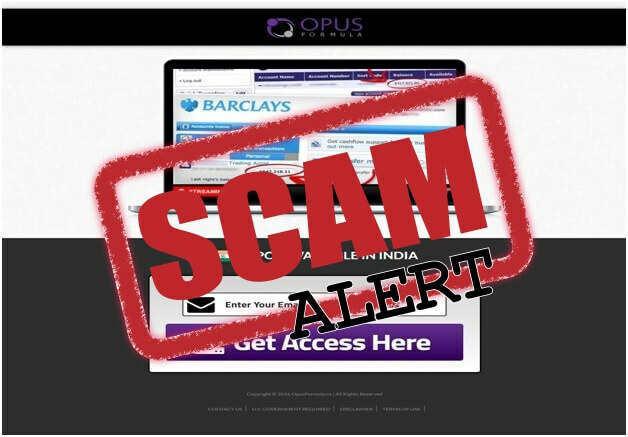 The Opus Formula is the new name of a series of previously exposed scam sites which is back again with its dirty business. The site has already fooled many innocent new traders and is likely that you too got an email from unknown sources asking you to check out their site. If you are a new trader and probably in doubt about this heavily promoted trading site you have found the right blog to get answer to all your doubts. 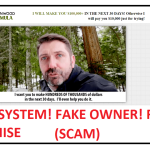 If you have already deposited $250 and came to know the truth about the system then I am sorry to say that there is no way to get your money back. 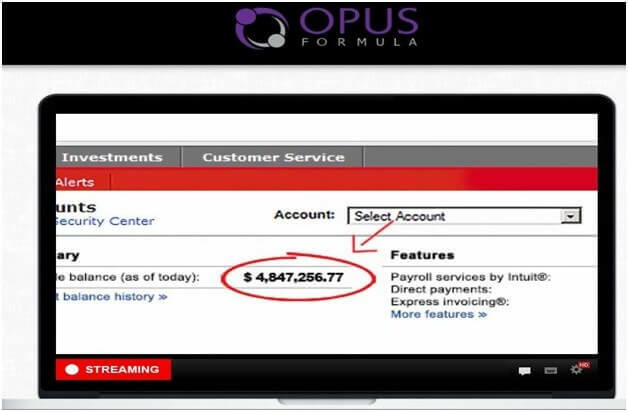 But if you want to know why I am calling Opus Formula software a scam then go through this Opus Formula Review thoroughly. The Opus Formula software as shown on the website is an automated trading software which will help you earn $2000 to $10748 per day which is quite an exaggeration. It claims to be a free website with guaranteed success but in reality it will rob you of your $250 as it will not be giving you anything in return. Once you open the website the presenter in the promotional video claims that you are chosen carefully to try out their software. According to him there are more such people who have been privately chosen and you belong to that group. This is a very unprofessional and inauthentic way of luring innocent people. The whole thing about this claim lacks evidence because if you open the website after some days, you will see the same thing repeating. So how do you again become chosen when they have already done it before? Here, you are actually dealing with a bogus scripted presentation that can never lure an experienced trader. Moreover, the presenter tells us that the software works with 98% accuracy and will start generating the above-mentioned amount of money with just a single investment. The high accuracy rate is not something very unusual as binary options trading software doesn’t really generate profits with that much accuracy. Fake Owner, Fake name, Fake Stories! Now let’s talk about the person behind the Opus Formula Scam who seems to be the owner and founder of the software. 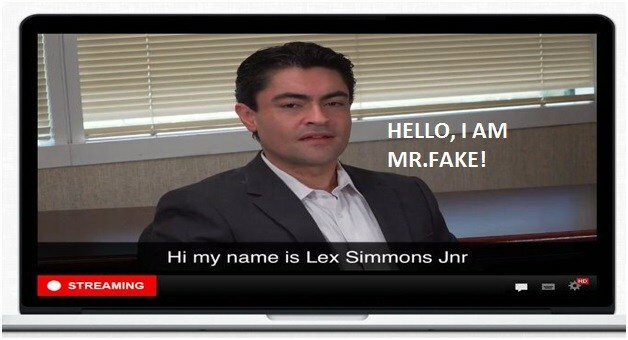 The person in the promotional video Lex Simmons Junior is our man and he claims to have made $29,976,882 in a year. It is amazing to hear such success stories but not so amazing to know that such stories are fake. This is the case with Simmons Junior and I even doubt if this is his real name at all. The person is a paid actor and has been hired by the scammers to say a few words in their promotional video in exchange for some money. 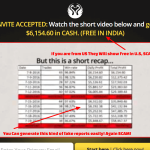 This is the usual trend of every scam sites and has been going on since time immemorial. The whole process has now become very foolish and predictable. One desperate attempt to make us believe that this site is authentic is the claim that the video will be deleted after you have played it 100 times and this will make us lose a very good opportunity to earn around $10000 a day. Well this is a very good try but it’s nothing more than the usual scam that I find on the internet every now and then. Lex also makes up a fake story about how his girl friend left him and about his dad’s passing away but then he says he has a supportive family who allowed him to make this move of making money online by establishing his company which he called Opus Formula. There was a time when he started this company with a few clients who were his colleagues from his previous job. Along with them he worked hard and started making money slowly. Later many big financial institutions would start funding him and that gave him a big opportunity to develop his software more and reach out to people. He was also approached by 2 famous US banks the names of which were not mentioned for the obvious reason. They saw his newsletters and became interested in him and they showed him the right way to increase his profits and helped him grow his business. These are the kinds of nonsensical stories that he was sharing in the video. During the course of the video, Lex tells us that he is going to explain how the software works. Well, this is not what I actually saw and heard in the video. He was just blubbering about his life story which obviously is a fake account. He says that the software’s trading technology is not related to forex, stocks or any internet marketing technology. He promises to share a secret with u which the gurus of money-making were using to earn millions of money every year. Money is supposed to flow in but you will never know how to spend it. In one word the software is going to give you the ultimate financial freedom that you have been looking for. In midst of all these tall tales he never really explained how the software does the trading. He is just making up stories and trying to convince everyone that the software actually works. He also tells very confidently that he doesn’t care what the outcome will be if he exposes the secret of these gurus to everyone and doesn’t care at all if he receives any threat email too. But what actually is the secret of the software or the gurus, he doesn’t share. It’s only because there isn’t any secret. 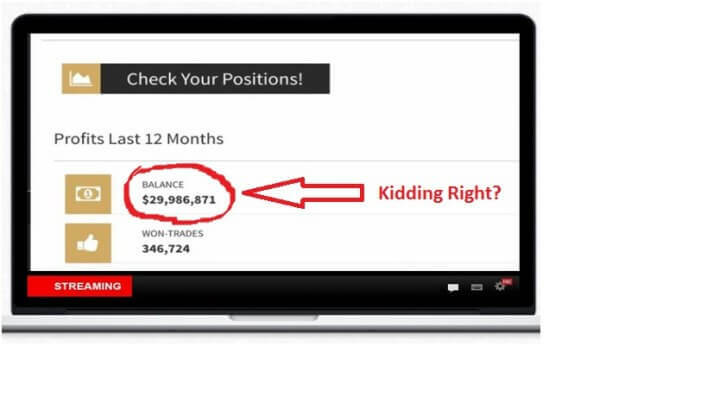 This secret system is nothing but a totally fake non-existing formula which doesn’t comply with binary options trading. There is actually no need for bringing up this topic but for more evidence building you need to know that this system is neither licensed nor regulated. There is no sign of any official body which is backing up the site. This simply proves how unreliable the software is. Although many unregulated auto-traders provide professional trading experience but Opus Formula software is not one of them. Opus Formula also has a few actors who have been paid to give positive reviews about the software on the video in exchange for some cash. This is not an anomaly; instead it’s the actual proof that the site is not normal. No trading website will ever boast and try to paint an exaggerated image of themselves. So we tried to find about those persons whether they are really authentic or not. For example, the person shown below speaks highly positive about the Opus Formula software and exalts Lex for sharing with him the formula behind earning such amounts like$10000 a day. BUT all he got is just 5$ for making that testimonial video on fiverr.com. Hidden Facts; what they don’t want you to know! One more thing I would want to make clear is the claim that with the help of the software there has been a total profit of $29,986,871 in the last 12 months. I have no problem with all the fake claims that they are making, but it gives me immense pleasure to expose such fake claims because I don’t know how much people they have already victimized by making such fake estimations. The flaw here is that when I made a detailed investigation of the website in the well-knew domain age checking website who.is I was shocked to find that the website was actually registered a few months ago, and this proves that there was no Opus Formula System 12 months back. 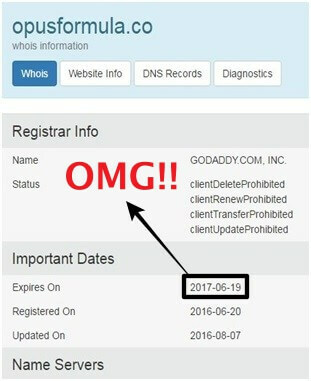 You can see clearly in the picture above that the domain of Opus Formula was registered on June this year. This is a very strong evidence to prove that Opus Formula is a recently opened scam just like all of its predecessors which came with different names. Lex has made more such unrealistic claims like the software trades in binary options but there is no clear definition of the trading options available in the website which is necessary to make a trade. 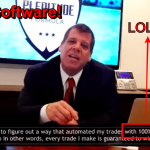 So what binary options trading was he actually talking about? Nobody actually knows the answer, because all his words are vague and has no clarity. He also tells that he broke a few records in Wall Street and had been nick named the Golden Eagle by fellow people who I believe is a brilliant fairy tale. Moreover, he speaks about a particular article in which his team’s name has been mentioned, but that too holds no firm ground of authenticity. I am unable to find any authentic support to this claim as there seems to be no evidence to such a claim online anywhere. 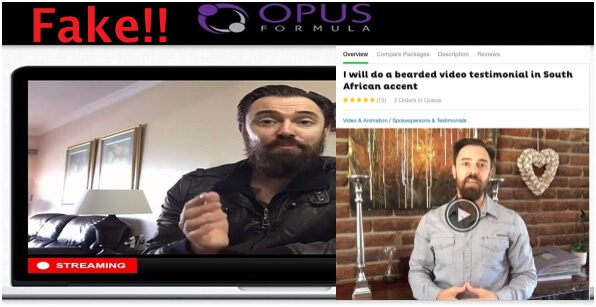 Opus Formula Review Verdict – Opus Formula is confirmed Scam!! So, you must be aware by now what sort of software system you are dealing with. The problem with Opus Formula system is that there seems to be more of stories and less of practicality. You are fed with imaginary and fake ideas and no authentic evidence to any of the claims that the scammers are making. 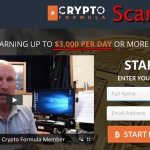 The only thing that I would advise you is to stay away as far as possible from Opus Formula scam and save your hard earned money for a better platform. 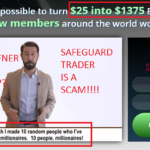 You can check out Blacklisted auto-traders list to find similar scams. 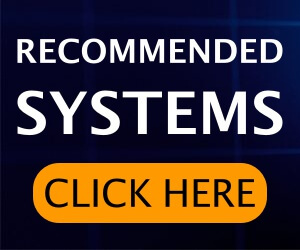 Visit our Recommended Auto-Trader Software page to find trusted and reliable auto trader. Leave us a comment below and let me know if you have any more queries.